Nickel Mines, a world premiere at UC Irvine, through June 7. 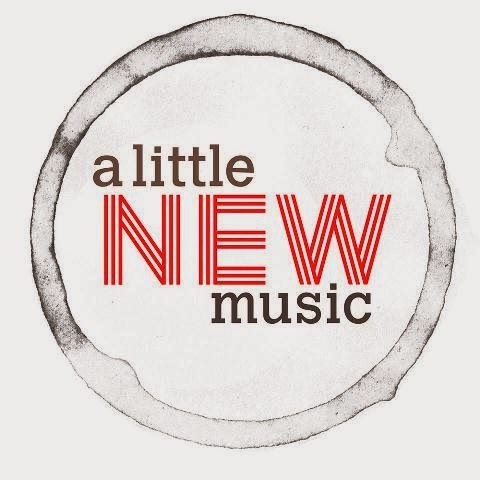 A Little New Music, the Festival joins in showcasing songs from new musicals at Rockwell in Los Feliz on June 10. Futurefest, the Festival’s annual marathon featuring talented high school and college talent performing songs from new musicals at Rockwell on June 11. Artland, the first world premiere musical developed at the LA County High School of the Arts, through June 15. 30 Minute Musicals, musical satires of blockbuster movies – Independence Day and Outbreak, at the Hudson Theatre in West Hollywood, through June. One Singular Sensation, the Festival expands to Napa for Broadway Under the Stars in June and July. For more information about all of the shows, go to www.lafestival.org. 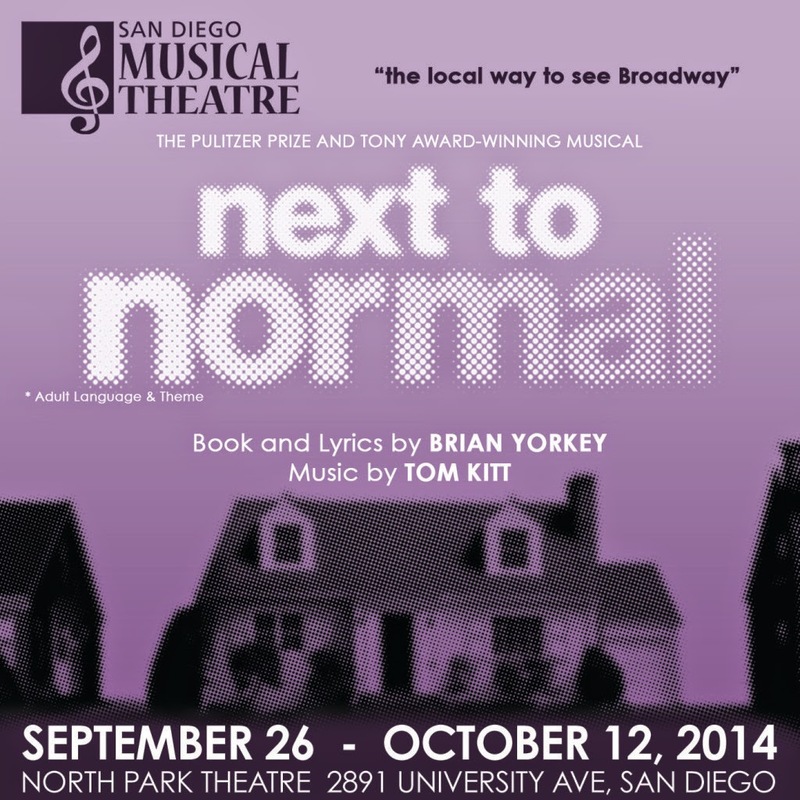 San Diego Musical Theatre will present Next to Normal directed by Nick DeGruccio, starring Bets Malone (Diana), Robert Townsend (Dan) and Eddie Egan (Gabe), Sept.26 - Oct. 12 at the North Park Theatre. The Pulitzer Prize-winning rock musical explores how one suburban household copes with crisis and mental illness as Diane Goodman struggles with bipolar disorder. Tickets: www.sdmt.org. TELEVISION: KCET will present two shows for musical fans this week. On Thurs, June 3, 2014 at 10:00 pm, they will air A Broadway Lullaby, a new documentary from award-winning director Barbara Rick. The documentary provides an unprecedented inside look at Broadway’s brightest performers, all uniting to combat breast cancer through the beauty and power of music and art. 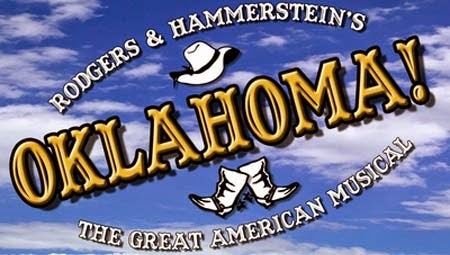 The film captures the inspiration, rehearsals, recordings and creative process of artists including Victoria Clark, Raul Esparza, Sutton Foster, Marva Hicks, Nikki M. James, Judy Kuhn, Rebecca Luker, Audra McDonald, Donna Murphy, Laura Osnes, Vanessa Williams, Charles Randolph-Wright, Stephen Schwartz, David Shire, and Jules, and musicians Larry Campbell, Dave Eggar, Taylor Eigsti, Gil Goldstein, Fred Hersch, Julian Lage, and many more. The documentary will also stream online at www.kcet.org. Click Here for more about the documentary and view the teaser below. Then on Friday, June 6 at 8:30 pm, Dialogue With Doti, hosted by Chapman University president Jim Doti, will debut. The talk show profiles today’s leaders in business, science, the arts and more. Doti’s first episode features four-time Tony Award®-winning playwright Terrence McNally (Master Class, Ragtime, Kiss of the Spider Woman). McNally will share stories and memories of his life and discusses his play Mothers and Sons which has been nominated for a Tony Award®. YOUTUBE: News from across the pond - Episode one if Don’t Let Go is now available on YouTube. The musical film is by Jacob William, a recent Goldsmiths University graduate, and is produced by Seth Chan and directed by Bella Barlow. Don’t Let Go tells the story of Tom (played by William) who, after a car accident leaves him in a wheelchair, fights to save the girl he loves (Annie Kirkman) from an abusive relationship (Roy Ryan). Featuring ten original songs performed live and characters like a reggae-singing Grandma (played by Juliette Kaplan of BBC’s Last Of The Summer Wine), Don’t Let Go is a heartwarming and heartbreaking story about embracing life and love in the face of sheer adversity. For more information, go to www.dontletgo.co.uk or www.jacobwilliam.co.uk or check out the video below. 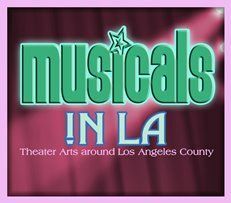 ANMT NEWS: The Academy for New Musical Theatre presents three brand new 15-minute musicals on June 23 and 24 at the Lonny Chapman Theatre in North Hollywood. The annual 15 Minute Musicals are a decades-long tradition at ANMT and conclude each season’s Core Curriculum of the writers’ workshop, which has been in existence for over 40 years. This season’s theme is Can’t Get Enough: three short musicals about addiction. Shows featured includes The Lover: A Tale of Obsessive Love by Grace Jasmine (book & lyrics) and Ron Barnett (music), Smartest Zombie at Harvard by Bryon Richards (book), Natalie Elder (lyrics) and Marc Macalintal (music); and Spoilers! by Mitch Glaser (book), Mike Shapiro (lyrics) and Erik Przytulski (music). The cast features Noel Britton, Sara Gonzales, Jeffrey Landman, and Kevin Yee, directed by Joshua Finkel, and music directed by Ron Barnett. Tickets are $25 at www.anmt.org. 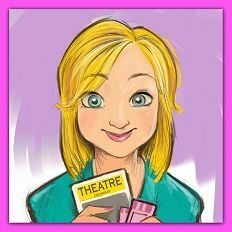 SEARCH FOR NEW MUSICALS: July 15 is the submission deadline for ANMT’s annual Search for New Musicals. Entries are accepted from around the globe and winners receive awards worth up to $25,000 in workshop productions, concert readings, feedback, and developmental support. All entries will receive constructive dramaturgical feedback, and will be entered in the Search contest. The winner of the 2014 Search will be announced by November 15, and will receive a workshop with the Academy Repertory Company, detailed feedback from the ANMT staff, and will be given a concert reading in Los Angeles. Writers may submit their shows electronically via ANMT's website, or submit materials by mail after completing an online submission form. For more info go to www.anmt.org. 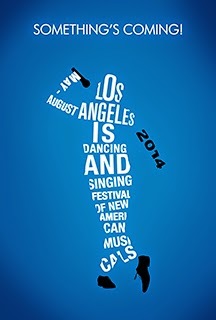 ANMT’s BIZ OF THE MUSICAL THEATRE BIZ CONFERENCE will take place July 18-20 at the NoHo Arts Center in North Hollywood. Sign up by June 15 and take advantage of the $100 off early registration discount. Every other year, NMI & ANMT host a prestigious conference on the business side of the musical theatre business. Panelists include award-winning writers, artistic directors, commercial producers, entertainment lawyers, agents, union reps, and social media marketing experts. For information go to www.newmusicalsinc.net and click on DEVELOP and then CONFERENCE. The Book Lab is designed as an introduction to writing the book of a musical while also outlining the collaborative steps involved in creating a new musical with the whole team. The Outlining Lab is available in-person OR online (or a combination of the two!) Video lectures, exercises, handouts, and tests are all available online. For complete course details, prices, early bird discounts and registration info go to www.anmt.org and click on BOOT CAMP. AWARDS: The Nederlander Organization and Hollywood Pantages Theatre have announced the winners of the 3rd Annual Jerry Herman Awards. KABC 7 Eyewitness News Entertainment Reporter George Pennacchio served as the master of ceremonies for the evening. Grand prize winners include Joshua Velez from HArts Academy (Pippin) and Ayla Stackhouse from Ramon C. Cortines School of Visual & Performing Arts (In The Heights). Best actor & actress runners up are Sawyer Patterson from John Burroughs High School, Kelsey Smith from Los Angeles County High School of the Arts, Nick Sparks from Oakwood High School and Julia McDermott from Mira Costa High School. Notre Dame Academy’s Luelle Robles won the “No Small Parts” Award for her role in Hairspray.